How to work your content marketing resources? The secret to it is in the palm of your hand i.e. today’s smartphone. The mobile phone evolved from personal requirements and today it has become a revolutionary content producing the machine. Whether you look for promoting or branding, the built-in high-resolution camera, apps, lenses, filters, and social media channel inclusion of a smartphone accomplish the goals effortlessly. Every day improving smartphone capabilities have enabled marketers to bring exceptional visual content pieces to their audiences. In this article, you will find 5 content marketing resources/ trends that will help you get more engagement and traffic in 2019. Snapchat has been entertaining its audience for years now. Since its inception, the social platform has brought revolutionary entertainment and engagement features to its audience and this time, it is a Snap Camera or Snapchat Reality. The Snapchat Reality can be opened on a desktop or laptop; you just need to choose your device. What does this mean for marketing and brands? So, how marketing professionals and brands should interpret this? For better interpretation, put your attention to Snap’s official announcement, “This means wearing Lenses while recording your next YouTube video, or even while streaming with apps like Skype, Google Hangouts, and OBS. We’ve also developed a custom Snap Camera integration just for streaming on Twitch,”. Have you left to use press releases for notifying your audience about your essential changes? Think again. So, how about making press releases astounding and presenting as a holographic press release? This was done by Hackl which joined hands with You Are Here Labs to unveil the first-ever holographic press release. 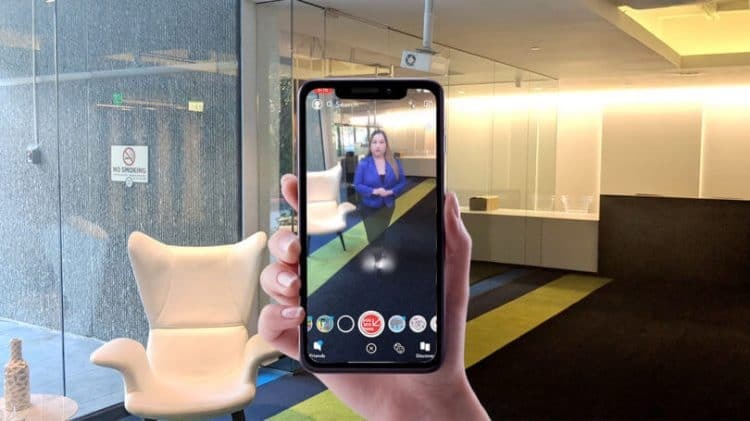 With the new holographic press release, you can add 360-degree and 180-degree holograms in the press releases and share them throughout AR/VR friendly social media platforms, like Facebook or Snapchat. Videos create authenticity and make everything real. A few years ago, the vertical videos were not an active participant of content marketing, but, now it’s essentially required one. A study reveals that “Smartphone users hold their phones vertically about 94 percent of the time”. Accept it, turning our phones from side to side gives pain. But, with the efforts of Snapchat, the vertical video has got some strong ground of staying intact. After that, it became a trend and today Facebook Stories, Instagram Stories, and YouTube are great examples of vertical videos. Do you want to share immersive places and stories with your audiences? You can do it with 360-Degree Videos through. These videos enable your audiences to see the entire 360-degree experience like they were themselves. If you are a brand trying to create a virtual experience where feeling, mood and moments matter most, the 360-degree video is for you. Now, you would be trying to how it works? Check out with the Insta360 Pro and jump in with your audience. Facebook offers great immersive experiences with its in-app features. A 360-degree photo as the brand’s cover image would prolifically stand out with your Facebook Page or Facebook Group. 360-degree photos can bring a new look to your Facebook profile or group and will make you noticeable. Visual content marketing is a great marketing tool and makes a brand prolific in the eyes of the audience. Attracting visuals help in getting engagement and traffic to the social profiles of the brand. Here are 5 outstanding content marketing resources that will help you do branding with a better impact.